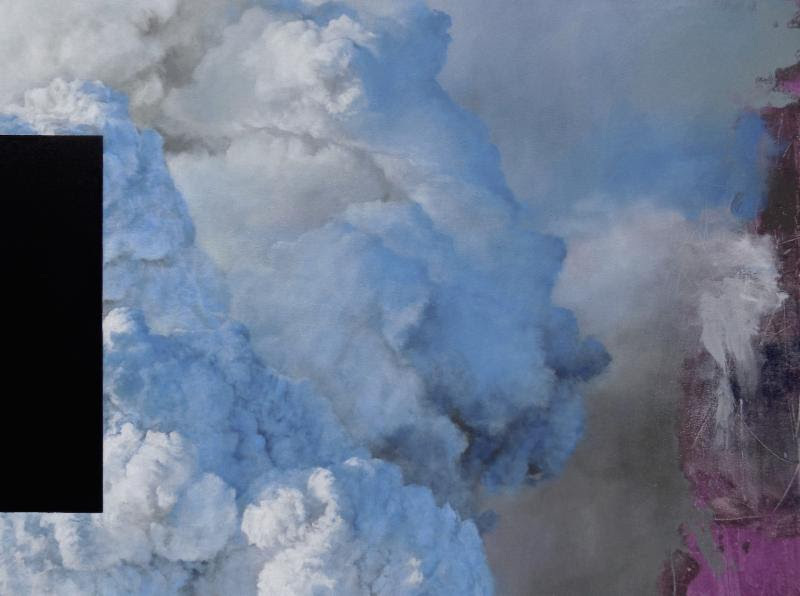 [New York] Lyons Wier Gallery is pleased to announce "Suspension and Segment" by Peter Roux. In the Suspension series, Peter Roux is interested in utilizing landscape as a platform for exploring visual dynamics. Paintings of things are, of course, not the things themselves but rather signifiers, explorations of experience...visual poems. This holds true for painting in all forms from implied realism to pure abstraction. 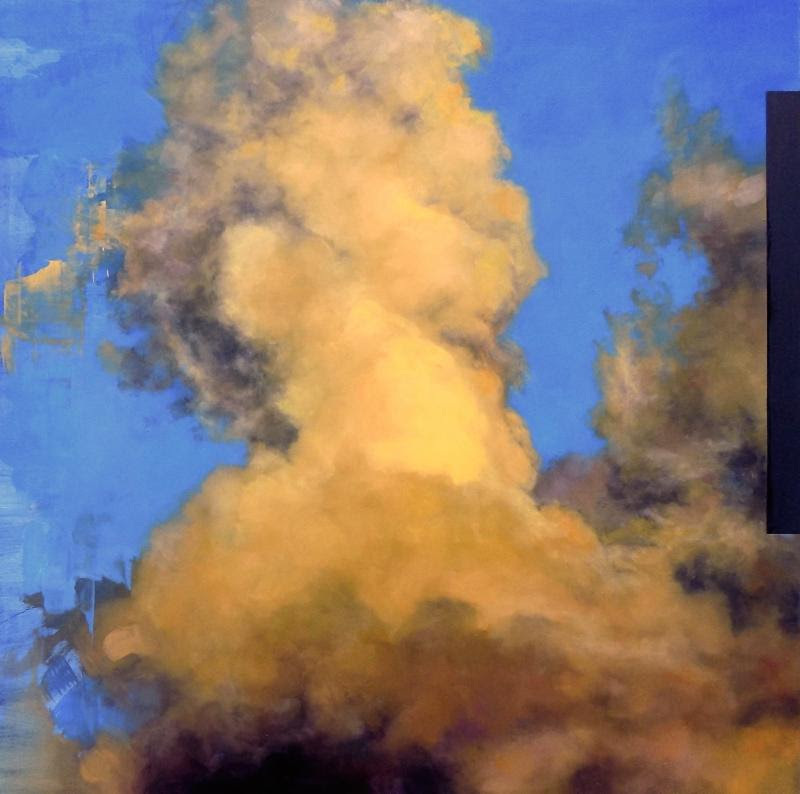 In this series Roux utilizes somewhat 'epic' subjects--cloud formations, large billows of smoke--as pulls into illusory space and then sets them into dialogue with elements of gestural marks and flat space (often at the edges of the pictorial window). Sharp fields of blacked-out blocking, pushing into areas of deeper representational space further define what is available to the viewer and how it is all ultimately judged by the eye. 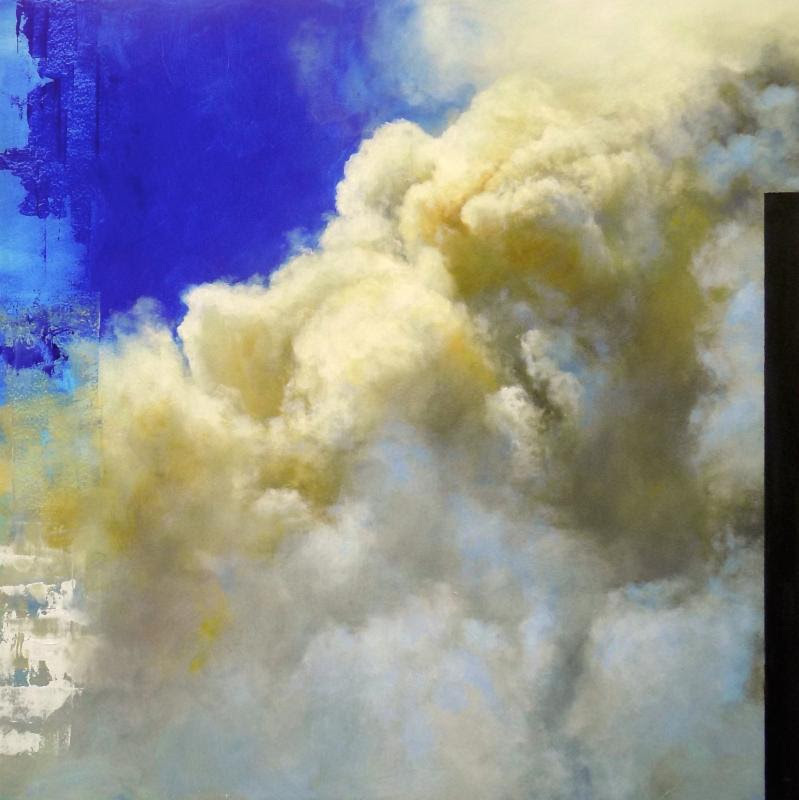 In these offsets Roux finds tensions and relationships that reflect on how contemporary spatial language and image can be understood. 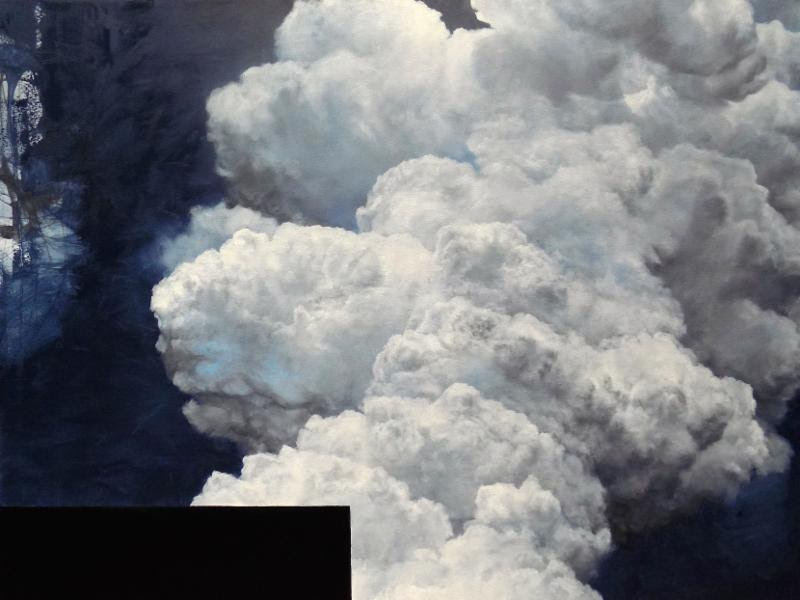 This is Peter Roux' first solo exhibition at Lyons Wier Gallery. He has exhibited throughout the United States from Ogunquit, ME, Boston, MA, Martha's Vineyard, MA, Providence, RI, Charlotte, NC, Atlanta, GA to Seattle, WA, Palo Alto, CA and Sun Valley, ID. His paintings are found in select corporate collections such as Fidelity Investments, Ritz-Carlton Hotels, Four Seasons Hotels, Marriott Hotels, Westin "W" Hotels, Meditech Corporation and Greenfield and Lynch as well as in the collection of the DeCordova Museum in Lincoln, MA. Peter Roux lives and work in North Carolina.